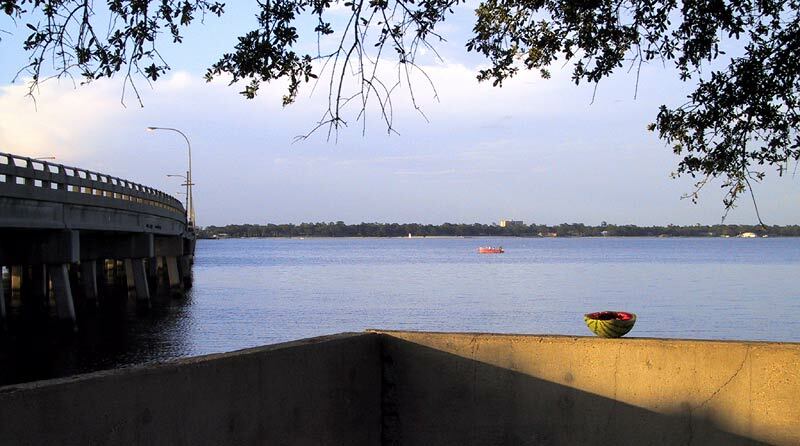 Some person left this half-eaten watermelon on the wall next to the Biloxi - Ocean Springs bridge. This is not Jimmy Webb's Macarther Park but it is Point Cadet Park, a Southern equivalent. The consequences of the leaving of watermelon in the sun are the same as the leaving of cake in the rain.